Socrates once said that “The only true wisdom is knowing that you know nothing” , hence was discovering new subatomic particles such as “The God Particle” an act of trying to attain wisdom or to generate a disparity in a worldwide society so heavily polarised between religion and science? Furthermore, was it right of engineers to aid in the construction of the particle accelerator in which important discoveries have been made in the fields of science? An aphorism of Plato was “Necessity is the mother of invention” , which stands true in this context from a scientific perspective, the discovery of the Higgs Boson could lead to vast benefits in the quintessential understanding of how the universe works. Nevertheless, the act of making such a pivotal discovery, and an engineers’ participation in it, has led to conflict across sceptics, the religious community and believers in the legitimacy of the Higgs-Boson. The use of particle accelerators and the ongoing research into the existence of the enigmatic dark energy and dark matter has presented benefits to the understanding of how the human brain interacts and provides some hypothetical insight into the realms of neuroscience. Philosophically, parallels can be drawn between the dark energy and matter being akin to the glial-neuron interactions in the human brain and help to demonstrate the effects of both positive and negative social interaction . Furthermore, the cost of finding the Higgs-Boson has been commonly stated as the most expensive scientific project in history. However, it is commonly overlooked that the $13.25 Billion investment into the project reflects only one year of the annual budget of NASA , a seemingly inconsequential amount of money when considering the achievement attained. Engineers allowed for the facilitation of such ground-breaking discovery that would have otherwise been inaccessible if the LHC was not present. Hence, from a deontological perspective, the use of an LHC is an essential part to human cerebral and technological development, aiding in the task of discovery initially set forwards by the concept of its inception. Furthermore, when considering total cost and consequent benefit of discovery, from a utilitarianism standpoint the LHC has a far greater positive than negative impact on mankind, pressing for more efficient and constructive solutions to problems that otherwise may have been more difficult and costlier to solve such as the fuel crisis . Moreover, Professor Stephen Hawking stated that the machine, with which scientists endeavour to recreate the conditions just after the Big Bang, was “vital if the human race is not to stultify and eventually die out” . Hawking sought to put the fears of an apocalyptic event caused by the machine to rest. From a standpoint of nonmaleficence, the LHC, as with any sufficiently advanced technology, has the ability to cause harm, however, its use for academic enlightenment greatly reduces the possibility of a cataclysmic event occurring, due to safety measures in place . The use of the LHC is essential in the field of virtue ethics as it is being used for purposes far from the supposed doom that some pertain it to be. In fact, the LHC is being used to fight cancer, as the workers at CERN are discovering new forms of radiotherapy in which less surrounding tissue is damaged, thus reducing harmful side effects . In situations like this, duty ethics is displayed, as humans are not just used as a means to an end, instead the benefit of societal wellbeing is a forefront of this technologies’ use. Due to the positive influence brought about by the LHC, it was right that engineers aided in its construction, lest the progression of this expansive and ever-growing society by stifled by the fear of constant scientific breakthrough. Conversely, the Catholic Church and the scientific community have always had their differences. Ever since the days of Galileo and Leonardo Da Vinci, some of the most prolific and progressionist minds in the fields of scientific history of discovery have been shunned for “ungodly” and heretic ideas. Currently, that same disparity still stands, with Pope Francis stating “God has created boundaries between the world of the living and the world of the dead. Are these scientists about to unleash upon us the Gates of Hell?” . If God created all life, who are we to play God and meddle with matters beyond our own control? From a virtue and care ethics standpoint, is there any reason for any individual, or group of individuals, to take charge of and harness any power that is incomprehensible such as the fundamental question of our existence? Some would argue that it is better to be in the knowledge of us merely being present and a further understanding would be delving into dangerous territories of knowledge . Why aspire for a higher purpose and significance when true balance has been achieved historically without the aid of advanced technology? This trepidation and curiosity of discovery could cause very serious damage to society, be that in a physical or political sense, as a direct result of a well-established culture with a religious paradigm being disrupted . Furthermore, the Precautionary Principle, when applied to this situation, states that until it is known what these experiments might bring, one cannot morally conduct them. The power of the unknown could be devastating, and that is something that the pursuit of knowledge should not be allowed to risk . Around $10 billion over two years  was invested by over 43 different countries where the resources could have been used to better the societies within them. The financial investments in CERN could instead be used as a more immediate benefit to help improve infrastructure and more applicable real-world issues. An engineer’s fundamental duty is to assess the opportunity cost of their work and, in the case of third world countries such as India that have contributed approximately £19 million, it must be assessed whether this is the best use of their monetary assets . Jeremy Bentham’s dictum gauges this dilemma “according to the tendency which it appears to augment or diminish the happiness” of the greatest number of people . In concordance with Utilitarianism, it could be argued that the Indian people could have required the money and expertise for infrastructure, in particular medical and educational facilities, as opposed to the production of the LHC that 28% of India’s population won’t have ever heard of as they are confined to living in poverty. It is our responsibility as engineers to determine the best use of the resources available to us. Considering the above discussion, the LHC has presented a far more insightful and safer approach to solving real world problems than when trying to progress without it. Hence, despite some minor perceived adverse effects of its use, the benefits of the LHC in its current state outweighs its disadvantages. G. Graffin and S. Olson, Anarchy evolution. New York: Harper Prennial, 2011. Waldron, J. (2015). Nonsense upon stilts. Abingdon, Oxon: Routledge, p.29. I was wondering if your inclusion of world news daily report was a joke. Or was this an oversight? I ask this because the site’s slogan is ‘where facts do not matter’ and it seems to be a satirical ‘news’ source. The start of your article was unclear. 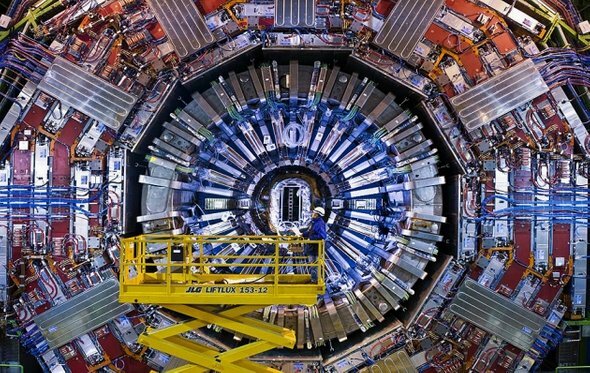 Is the issue that the cost of the Large Hadron Collider (LHC) was too much? Regarding the LHC itself, I approve of it as it has brought together scientists from across the world and produced fascinating research. Although the money used on the LHC could have been spent elsewhere, some of the money spent on the military could be better spent too. For example, India, which you say is a third world country has atomic weapons but also 28% of their population living in poverty.